After an incredibly successful sold-out run at the San Diego Fringe Festival, we are bringing our critically acclaimed dance-theatre adaptation of Charlene Baldridge's 'The Warriors' Duet' back to San Diego audiences in a more spacious dance-friendly setting: the beautiful White Box Theater at Liberty Station. 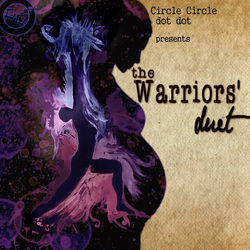 The Warriors' Duet is a celebration of love, life and language. While a mother searches for her missing daughter the story unfolds, enhanced by movement and music. Theirs was a fraught, competitive relationship. The Warriors' Duet is the act they never performed, the book they didn't have time to write.